As a result of almost 20 years of yoga and meditation experience, Joanna Dunn aims to create opportunities for students to internalize peace and slow life down, especially when life gets hectic. Her mission is to create opportunities where yoga is accessible, challenging, and interesting to anyone who experiences it. In each session, you can expect to find yoga that is accessible, challenging, and interesting to whomever comes. Students should leave with increased body intelligence and mindfulness in addition to feeling healthier, refreshed, and integrated physically, energetically, mentally, and spiritually. There is always an element of exploration, play, fun and laughter. Joanna strives to always provide an evolving conversation between herself and her students, especially around their needs and abilities. Joanna’s teaching style tends to attract students who are looking to slow things down, who are curious and want to build intelligence in their bodies and wisdom in their minds. 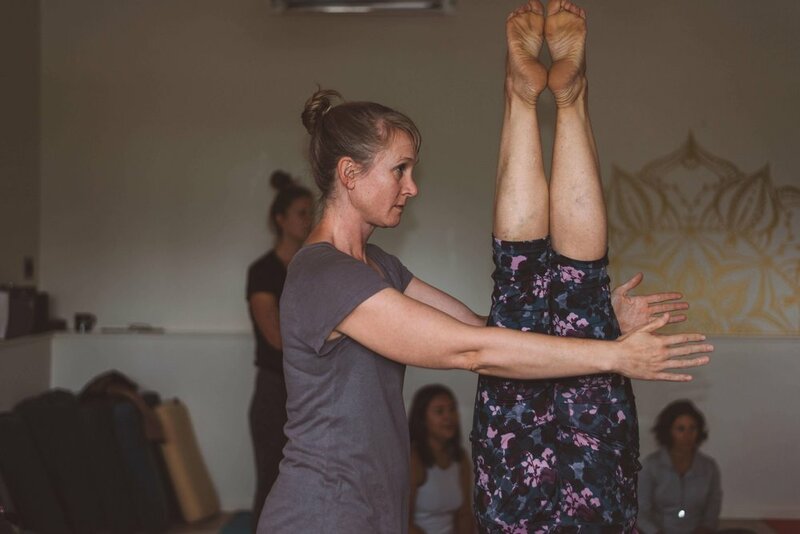 Joanna’s retreats and classes go in depth into many topics surrounding yoga: anatomy and kinesiology, history of yoga and philosophy, how to keep oneself safe and build health through the practice, and meditation. These days, there are a lot of options for yoga, locally for classes but also worldwide for retreats. And with the digital revolution, comes online ways to practice but with that also ways to detach. It can become increasingly hard and even intimidating to take a physical practice with a group of strangers, especially when the world makes it so convenient to stay at home. But at least once, you should experience what it’s like to have a yoga practice, personalized for your needs. Joanna Dunn’s retreats are geared towards those who are looking to have an intuitive, slower, and mindful approach to yoga. In her retreats, clients can expect to learn about anatomy, kinesiology, the history and philosophy of yoga, as well as how to stay safe during practice. After all, no one is built like you. You are unique in body and soul and will need and want different things from your retreat. As such, these retreats are structured so that they are accessible for anyone at any level of yoga. Much of the yoga retreats are also centered around meditation and intention. Meditation has been shown to change the brain and help ease the central nervous system. Through the practice of meditation, we encourage transformation by shifting old patterns that may have developed over time. Learn to listen to your body, notice even the smallest of breaths, and honor the journey it’s taking you on.